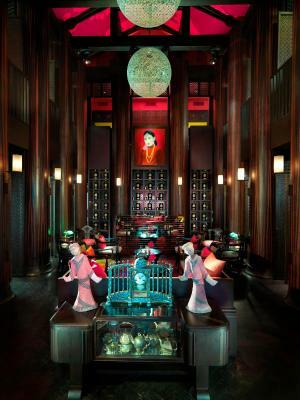 Lock in a great price for Mandarin Oriental Bangkok – rated 9.5 by recent guests! Everything about the hotel is nice and beautiful most especially the warm service. Amazing Hotel with best service and comfort. Best location on the river. The restaurant and the Jazz Piano Bar was awesome. Room and furnishings most comfortable. No question I will stay at Oriental Hotel my next visit. Truly 5 stars service! The interior design both in the room ( garden suites) and the afternoon tea area are absolutely beautiful and elegant! The ambiance is really classy, you can find both relaxing and luxury feeling in the hotel. 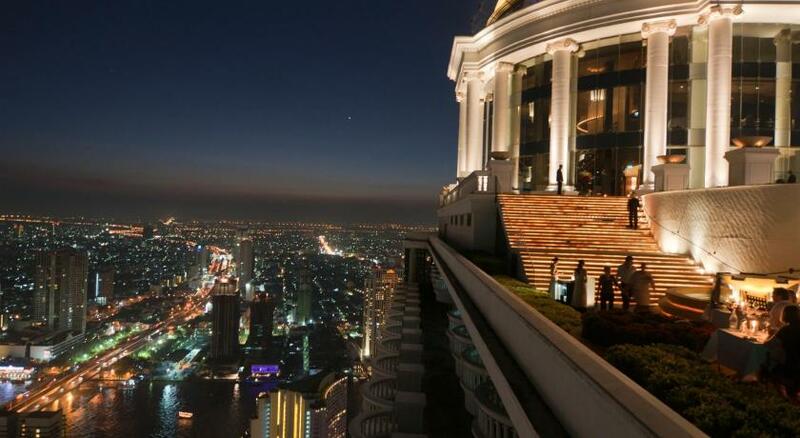 This was my second time to stay in this hotel, and again I don’t think I want to go elsewhere when I visit Bangkok. Atmosphere and fantastic stuff. Also, hotel restaurants were top! Wonderful bed and excellent service to the room. A bucket of ice ordered came within 5 minutes. Staff all very polite and helpful. Head of Concierge really lovely. The best hotel we have ever stayed it, they could not have done more for us. It was an absolute pleasure to stay there, we didn’t want to leave ! Simply one of the best hotel experiences, everything is just so good ! Mandarin Oriental Bangkok This rating is a reflection of how the property compares to the industry standard when it comes to price, facilities and services available. It's based on a self-evaluation by the property. Use this rating to help choose your stay! 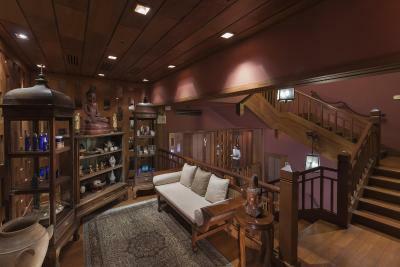 This luxurious property sits beside the scenic Chao Phraya River in downtown Bangkok. Offering rooms decorated in teak wood furnishings and Thai silk, it also has a large outdoor pool, Thai cooking classes and yoga lessons. Mandarin Oriental Bangkok provides a free shuttle boat to Taksin BTS Skytrain Station, River City Shopping Complex and Sala Rim Naam Restaurant. It is about 2.2 mi from Chinatown and the Temple of Dawn (Wat Arun). Enjoying beautiful river views through floor-to-ceiling windows, all air-conditioned rooms at Mandarin Oriental Bangkok are equipped with a flat-screen TV and DVD player. Large private bathrooms present a separate bathtub and walk-in shower. 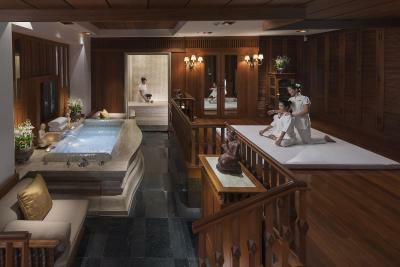 The Oriental Spa provides relaxing massage treatments, hot tubs and herbal scrubs. For a refreshing workout, guests can exercise with a personal trainer at the gym or enjoy a game of tennis and Thai boxing. 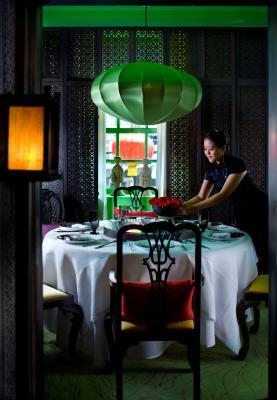 The famous Le Normandie restaurant offers fine French dining, while The China House offers authentic Cantonese cuisine in a stylish setting. 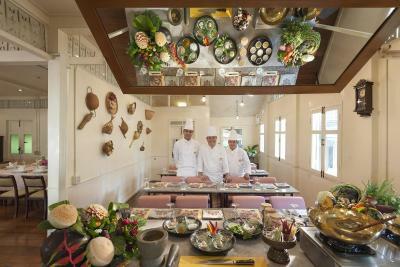 International lunch buffet and fresh seafood can be enjoyed at Lord Jim's. 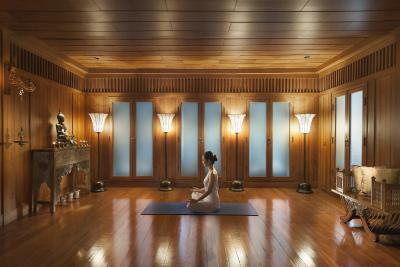 When would you like to stay at Mandarin Oriental Bangkok? 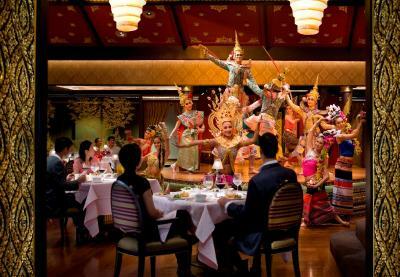 Decorated in teak wood furnishings and Thai silks, air-conditioned room features partial views of the river. Elegant rooms are on a high floor and enjoy full river views. Includes a personal butler, enhanced bathroom amenities and daily fruits and flowers. Rooms are on a high floor and feature river views. It comes with daily fruits and flower, as well as a personal butler. This double room features a bathrobe, dining area and air conditioning. This suite features a satellite TV, sofa and bathrobe. This suite features a bathrobe, mini-bar and DVD player. This twin room features a bathrobe, air conditioning and DVD player. This suite has air conditioning, DVD player and satellite TV. This suite features a mini-bar, bathrobe and satellite TV. This suite has a DVD player, mini-bar and bathrobe. For more than 140 years, travellers have followed the Chao Phraya River to stay at the legendary Mandarin Oriental, Bangkok. A luxury five-star hotel in one of the world’s most exciting cities, we enjoy a reputation for style, service and excellence. 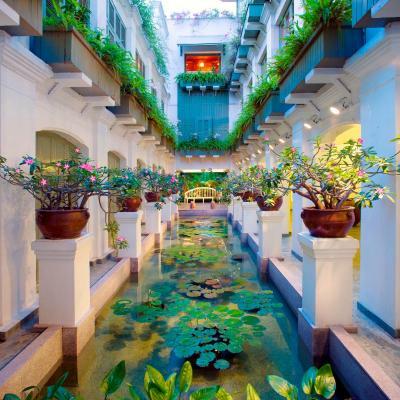 A haven of calm on the banks of the river, Mandarin Oriental, Bangkok is a truly remarkable five-star hotel. Timeless yet contemporary, classic yet cutting-edge, our unique blend of luxury and comfort make us the ultimate Bangkok address. Hotel surroundings – This neighborhood is a great choice for travelers interested in convenient public transportation, ambiance and city walks – Check location Excellent location – show map Guests loved walking around the neighborhood! WiFi is available in all areas and costs THB 642 per 24 hours. 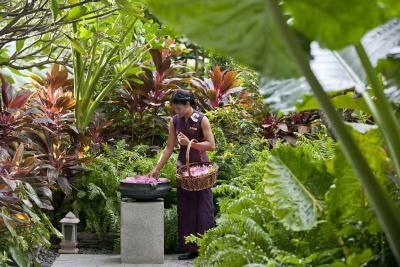 House Rules Mandarin Oriental Bangkok takes special requests – add in the next step! Mandarin Oriental Bangkok accepts these cards and reserves the right to temporarily hold an amount prior to arrival. Please note that booking exceeding 3 rooms with the same guest name is not allowed. For all guests staying at this property, please kindly be informed that business casual dress is required. The property will be undergoing renovations from Fri, Mar 01, 2019 until Tue, Oct 01, 2019. During this period, guests may experience some noise or light disturbances, and some hotel facilities and services may not be available. There were mosquitoes in the room. I had to keep trying killing them. When I told the desk staff, she was indifferent. Almost nothing but I would like to have the gym in the main building rather than take a boat trip. The staff was awesome. Simply wonderful. I loved everything. I will surely come back. The lobby is far too cold. Inside needed something warm on then outside something cool. Not healthy going from one extreme to the other. The air con control in the room gives out a very bright white light that shines in ones eyes when in bed. Tried to cover it, without success. Too expensive for what it is. 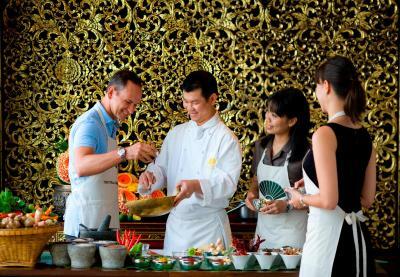 Breakfast buffet is not very good, the choice is big, but quality of food needs improvement. Went to their spa for manicure - the worst manicure I’ve ever done, looks like someone just bitten the nails. It’s the only hotel or even place we’ve visited in Thailand where sockets are not fit for European plugs, the hotel really must proactively propose adapters to guests. The service was good and efficient. Unfortunately my husband was poisoned at the restaurant.